Nasturtiums are such cheerful flowers, it's worth it to grow them just for their looks. But put a few extra plants in your garden to munch on! Every part of the nasturtium is delicious. The leaves and flowers have a warm, tangy flavor. Pick a few and toss the petals into a salad or float a blossom on top of a drink or soup. Don’t stop there. Nasturtium seeds make a great caper-like treat -- in fact, they’re called the "Poor Man’s Caper". 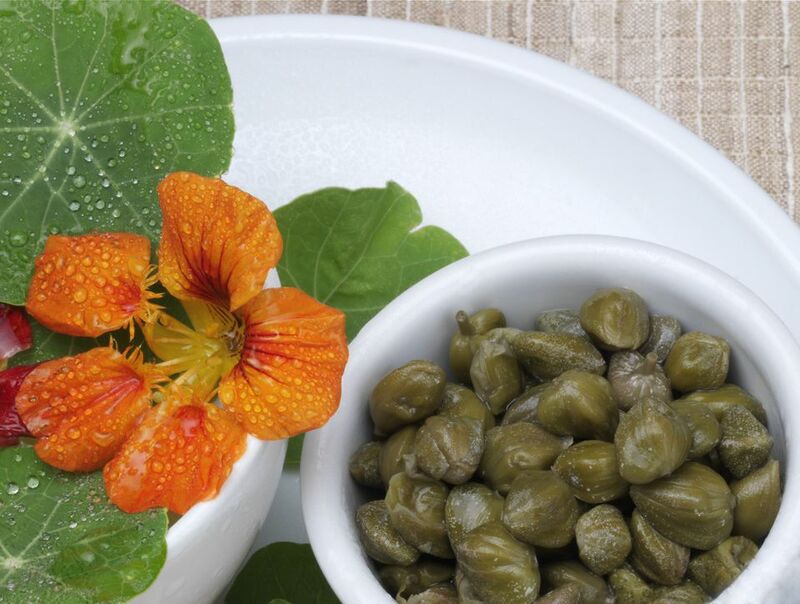 Real capers are made from the buds of the caper plant. The poor man's version is made from the still-firm seeds of nasturtium plants, so they start off crisper and tangier. Rinse and drain the nasturtium seeds and blot them well on paper towels. Pour the seeds into a 1-pint canning jar. Bring the vinegar, salt, and pepper to a boil and pour over the seeds. Seal and refrigerate the jar, then let them sit for about 3 months. Then enjoy! The basic recipe is very simple. You can use them as is, on salads and in vegetable and fish dishes. Or you can create your own blend by adding a few additional spices. To spice things up try adding: A clove of smashed garlic, a pinch of celery seed or pickling spice, a couple sprigs of thyme or a bay leaf.